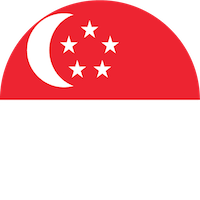 Save money when travelling around Singapore with this handy list of Singapore 2018 Grab promo codes. To be updated regularly. While we do our best to keep this page as updated and accurate as possible, offers featured may change at the discretion of merchants. Please verify these Singapore 2018 Grab promo codes with Grab. Maybank card holders can use the code MAYBANK10 to get $10 off all Grab rides. Citi Cash Back Card holders get 8% cashback (capped at $25/month) on all Grab rides when using GrabPay and spending at least S$888 on retail purchases monthly. Terms & Conditions apply. Enjoy $10 off your GrabCar Premium or 6-Seater rides when going to or from a restaurant booked via the Quandoo app. Use the code QUANDOOVIP. Use the code NEWVIP to get $15 off GrabCar Premium rides if you pay with GrabPay. This offer is valid all day, to or from CBD, Primary, East Coast, Bukit Merah, and Queenstown areas. Did you find this article about Singapore 2018 Grab Promo Codes helpful? If you have any more Singapore 2018 Grab Promo Codes that we missed out, please leave it in the comment section below.